Life Without Money: Building Fair and Sustainable Economies (Pluto Press, London, 2011) that Anitra Nelson and Frans Timmerman have edited is a remarkable collection on the praxis of non-market socialism. For the contributors of the volume, socialism/communism is not just a state or goal which we have to achieve in some distant future; rather, it is built through immediate practices that reject capitalism and its key institutions – market and money. They regard the manipulation of these institutions for their gradual transcendence to be deceptive, as “the market system, and its quasi-god money, is a strong barrier to the political and cultural reforms needed to establish socialism.” The volume critiques the reduction of socialist revolution to combinatorics of state power and economic reformism. The following discussion with Anitra Nelson, one of the editors of the volume, tries to bring out the chief tenets of non-market socialism, providing an insight into the politics of diverse experiences in this regard. Prof Nelson teaches at RMIT University in Melbourne (Australia) and has been active in the women’s liberation, peace, disability, environmental and solidarity movements. One of her previous works, Marx’s Concept of Money: The God of Commodities (Routledge, London, 1999), is considered to be an important contribution in the Marxist critique of political economy. Pratyush Chandra (PC): Life Without Money? Isn’t the title itself sufficiently utopian? In fact, the whole collection seems to present an explicit defence of the utopian element in the socialist project. How do you relate this utopianism to the scientificity that the critique of political economy claims? Aren’t we being prescriptive, which Marx tried to avoid all his life? Anitra Nelson (AN): These are familiar, provocative questions worth a detailed response. Your first three questions imply that being utopian is negative and against the scientific method employed by Marx, while the last one indicates that Marx avoided being prescriptive and so we should as well. Let’s acknowledge that the terms ‘utopian’, ‘scientific’ and ‘prescriptive’ all point to Marxian controversies associated with conflicting interpretations of Marx. I will discuss them in turn as a way of elaborating on our interpretation of Marx and the way we need to address current environmental and political challenges that we face as a global community. But, first, let me briefly describe our book and the position it advocates. Life Without Money: Building Fair and Sustainable Economies has ten contributors advocating a non-market socialist position to address our current crises, i.e. in order to realise socialism we need to dispense with money and markets as a fundamental strategy and not simply expect money and markets to evaporate eventually as a result. The collection argues why we need to pursue this strategy as well as how we might do it, by offering some practical examples and theoretical visions. I initiated the project. Co-editor Frans Timmerman and I co-wrote two chapters and I was the sole author of a third. Some of the responses in this interview draw on an unpublished paper, ‘Money or socialism’ that we presented at the Historical Materialism Australasia Conference, held 20 July 2012 in Sydney. You can read more about the book and its contributors in the book’s website. We decided that a non-market socialist position needed to be promoted urgently because humans have laid the basis for our extinction using capitalist practices and thinking. The recent rise in intensity, frequency and scope of natural disasters is linked substantially to climate change. Human beings cannot live with even a small rise in their body temperature, and any variation around the average tends to involve debilitating symptoms. Similarly, the earth is changing itself to cope with global warming in ways that will make our environments hostile to our continued existence as a species. We believe that the results of these changes will produce dramatic effects in years, not just decades or by the end of the century. We see non-market socialism as the only way to address the combined crises we face, which are results of a capitalist system based in production for trade, relying on monetary accounting and exchange. This system contorts and confuses the values, relationships and structures that ideally exist between people and between people and nature. At the heart of the capitalist system is the practice and concept of money as a measure, even a god. The structure and relations of capital are impossible without the practice and concept of money as a general all-purpose means of exchange and unit of account. Capital is money that begets more money. Thus monetary values come to dominate social and environmental values in more and more intensive and expansionary ways. The modern state arises as a handmaiden to capital. We buy and we vote; we are servants to both. I always love the questions that pose that we are utopian, using ‘utopian’ pejoratively and referring to Marx to support their position. The irony of this attack is that Marx argued against what he called utopian socialists, such as Proudhon, specifically because they did not appreciate that capital evolves from money as a chicken does from an egg. Invariably those suspicious of a non-market socialist line — because they think money is okay and believe that Marx thought money was okay — call us utopians while Marx would have called them utopians! However, I do not look at Marx as a god. So, I am not appealing to Marx’s words here as evidence of the truth, or as a matter of faith. It just so happens I agree with Marx’s analysis in this instance. Furthermore, I believe his concept of money embodies some of the strongest insights responsible for making his wider analysis relevant to us today. Marx (1976 : 126) starts Capital I by examining the ‘cell’ of capitalism, the commodity, which is both a use value and an exchange value. He immediately unpacks the contrast between the qualities or purposes of a good or service, its use value, and its exchange value, which is a ‘quantitative relation’. Use values can be expressed as implicit quantities, such as human beings, who can be weighed in kilograms and measured in centimetres and compared with one another. But commodities are brought into a relationship with one another on the market through their exchange value, their price, with money as the ‘common denominator’ (Marx 1970 : 28). It is clear then that money as a unit of account is not at all a measure but rather some kind of variable standard. Marx (1976 : 89–90) considered this introduction would challenge the reader and ‘present the greatest difficulty’ because ‘the commodity-form of the product of labour’ and ‘value-form of the commodity’ took the ‘money-form’. As for money, Marx (1976 : 90) wrote that ‘the human mind has sought in vain for more than 2,000 years to get to the bottom of it’. Thus, amongst others, Althusser (1971) counselled workers/readers to skip the first couple of chapters. I think that this was probably the worst possible advice. Instead the advice should be to dwell on these chapters, which — as autonomist Marxist Harry Cleaver ably shows in his 1979 work Reading Capital Politically — provide the building blocks for a revolutionary analysis of contemporary capitalism. Careful reading of Part I of Capital I (1976 ) and A Contribution to the Critique of Political Economy (1970 ) avoid the ridiculous conclusion that money is not a problem, only capital is. Marx opposed those who seemed to think that they could simply redefine money, issue it on different terms, regulate it in new ways, or give goods and services ‘prices’ at a distribution centre or before they reached the market (a contradiction in terms). He started his analysis of capital with money and commodities because he thought many socialists and political economists had underestimated the role of money. Yet, in actual fact, money was both the ‘ultimate product of commodity circulation’ and simultaneously ‘the first form of appearance of capital’ (Marx 1976 : 247). Proudhon, for instance, thought the social system could be altered by monetary and price reform. Marx said democratization of credit was impossible because capitalists exploit and control workers by using money, credit and debt. In other words, if Marx were here today, he would be questioning, like we do, those socialists who only see money as a neutral tool or ineffectual form rather than appreciate that money is at the basis of practices that developed and maintain class and private property. Marx’s dialectical approach not only allows but also demands a holistic appreciation of context, relational dynamics and transparent values. In this approach form and content can be analysed distinctly only within an overarching acknowledgement of their integration. For instance, the ‘money form’ is of, with and by the content of capital. His scientism was a call for boldness and bravery in social and political analysis. He sought the spare, essential patterns that explained economic dynamics and he engaged with the model that evolved, whatever it might imply. As a non-market socialist I would ask other Marxists to be scientific in this sense and consider whether it is simply too much of a challenge, too inconvenient, to contemplate the task of disassembling a world rotating on money. Both the theory and practice of filmmaking and screenwriting refer constantly to ‘point of view’ (POV). The easiest example of POV is the location, slant and scope of a camera on subjects and scene. As political activists we are often poised like the cinematographer and camera within a POV. Marx positioned himself very firmly within the values of an alternative world to capitalism — whether we call it communism, socialism or anarchism hardly matters — and wrote his analyses from that POV. Whether Marx was prepared to admit it or not this POV was, in itself, prescriptive and determined his specific dialectical method of being ‘scientific’. Not only that but a major part of his empirical and conceptual analyses, and the constant praxis operating between the two, was determined by the challenges of, and implications for, revolutionary strategies. He made no apologies for prescription here. Indeed this focus was the centre of his political and intellectual life. He and his wider family’s involvement in the rise and fall of the Paris Commune is a prime example. The rudders in his practical and theoretical approaches were essentialism and minimalism, to get to a socialist society as quickly and easily as possible. It is true that there are points in Marx’s analysis where he gets out of explaining how a principle or criterion of socialism might operate in practice by saying, ‘Don’t you worry about that, they’ll work it out.’ Furthermore, he cautions theorists against creating blueprints which might deprive socialists of making decisions about what they do and how they do it because this act contradicts or undermines the democratic authority socialism embodies as self-governance. He has faith in socialist problem-solving once the structures, relations and values are firmly in place. By implication planned socialism, its centrist organisation and bounded markets would seem at odds with Marx’s perspective. Marx had no quibbles at all in continuously engaging with contemporary prescriptions. His main points here were to do with breaking with money per se, rather than thinking that all you had to do was to ‘tinker’ with it and achieve large-scale change, let alone revolution. Marx’s analyses of existing experiments, such as workers’ cooperatives and labour money, assessed their (in)capacity to fulfil the principles of decision-making being transparent and just, and production efficiently and effectively satisfying social needs. Today, non-market socialists make the same points about the plethora of half-baked schemes — fair trade, carbon trading, community currencies and so on — that cannot lead to socialism unless they go hand-in-hand with political movements to erode capitalism, private property, and create a global commons focusing on production for everyone’s basic needs. Of course, many of those schemes do not profess to be socialist, mostly claiming to be on the way to either a higher stage of capitalism — developing ‘social capital’ or ‘natural capital’, terms that would drive Marx insane — or the more nebulous ‘postcapitalism’. In short, we argue that we must unpack the terms of what postcapitalism might be to become conscious and deliberate collaborative managers of our co-existence. If this discussion is unfairly labelled discourses on utopia or prescriptive, so be it. AN: Money and markets represent capitalist power, not only a vernacular of power, but also, and more importantly, existing material practice of power. We must recover that power over the means of our existence, over the conditions and practice of our existence. You cannot have capital without money. You cannot have abstract labour or labour for wages without money. Especially people who have no money understand that money is not a neutral tool, it’s a form of control. Capitalists are defined by money, their power is monetary power, their logic is a market-based logic. If our strategies for confronting, undermining and overwhelming capital are based in these simple facts, it is not hard to challenge the system. Non-market socialism is pragmatic. In as much as market socialists and social-democratic socialists support market processes and mechanisms, I think that they share a basic misunderstanding of monetary and market practices and how they constitute capitalism. Twentieth century examples of centrally planned and market-oriented socialism, best described as state capitalism, clearly failed to democratise power and, in many ways their systems of production and distribution mimicked capitalist work and consumption. Socialist managers seemed to use market models as instruments of power to control the masses much as we are contained in capitalism. For me, socialism must mean sharing power, the power to decide what is produced, how it is produced and for whom. Socialism must be state-free and class-free because states and classes represent exclusive power. Many critiques of capitalism highlight the contradictions between, on the one hand, economic values and dynamics and, on the other hand, the embodied social and environmental use values of resources, workers, goods and services. Many environmental and social activist campaigners appeal to a logic of use values rather than exchange values to advocate their position. For instance, they will argue that an old-growth forest has more use values and reproductive and sustainable potential to the communities that rely on it for all their basic needs, such as food, potable water, shelter, clothing and medicines, than its use for making profits for a multinational conglomerate that plans to clearfell the trees, sell them for timber, let or help the remaining forest ecosystem die, and replace it all with a tree farm. Similarly, anti-nuclear campaigners will argue that the industry is unnecessary to fulfil people’s basic needs and a risk to their wellbeing and livelihoods, while the nuclear industry will argue that it will create ‘clean’ energy to sustain growth, jobs and profits. These examples contrast arguments based in use values and those based on exchange values. In as much as the Left continues to consciously and conscientiously argue and propose options that are based on a logic of use values we can offer a clear and unequivocal alternative to capitalism. Once we start to try to convince capitalists and the state to be more environmentally and socially sound using arguments based on economic values — ‘You can make more money this way’; ‘Why not trade in environmental values?’ — we are lost. Again, the first couple of chapters of Capital I (1976 ) — and earlier drafts of similar material in A Contribution to the Critique of Political Economy (1970 ) and the Grundrisse (1973 [1857–8]) — show how important the concept of use value was to Marx’s concept of work for capital and the importance he gave to the obfuscation of use values through commodity fetishism. On the one hand, labour becomes standardised and interchangeable in the process of the production and exchange of commodities: ‘uniform, homogenous, simple labour’, ‘labour in which the individual characteristics of the workers are obliterated’, in short ‘abstract general labour’ (Marx 1970 : 29 — italics in the original). On the other hand, the quantitative relation ultimately realised in the form of a price not only represents ‘materialised labour’ but also, in the same process, ‘the qualitative difference between their use values is eliminated’. The analytical groundwork for his subsequent analysis is to show us what use values are, despite their obliteration through work and production for money. They are all we need to exist. It is capitalist ideology that mystifies the significance of money and makes us believe in its necessity and efficiency instead of ourselves. through a price, define the commodity in terms of its social wealth, thereby eliminating any sense of the commodity’s use value. In one stroke, within the first few pages of all these early works of Marx, we readily understand that workers, the subjects and objects of capital(ists), will experience the world in a market-filtered and dominated way. Capitalists cannot in practice appreciate environmental and social values. The system they employ reduces everything to a market assessment, a monetary value, a price. To institute socialism we only need to understand the potential, limitations and needs of a natural and built world held in commons along with the basic needs of humans — and share decision-making based on a discourse of use values and distinct measures appropriate to differing use values (Buick 1987). There is no need for a universal unit of account or means of exchange. In his chapter on money, markets and ecology in Life Without Money, John O’Neill discusses the non-monetary thrust of Otto Neurath, who, a century ago, argued against Ludwig von Mises and Friedrich Hayek for an in natura socialist economy. In short, Neurath envisaged an economy based on use values, ecological and social values, that did not rely on any kind of standard for comparison, any universal measure, such as money. In tandem O’Neill, an ecological economist and political philosopher as well as a political economist, discusses deliberative democracy as a current that he thinks can offer ways for people to decide together what and how they produce and for whom. Meanwhile, many socialists today fail to acknowledge the revolutionary significance of consciously acting, as well as thinking, on the basis of use values rather than exchange values. Acknowledging money as a tool of power, rather than efficiency, and as the organising principle of capitalism points to revolutionary strategies which undermine capitalism non-violently and involve instituting direct democracy in the process. So, I do not reduce money to a ‘mere tool’ at all. Rather, I see it as omnipotent, so powerful in fact that even committed and passionate socialists can complain that they cannot envisage a socialist future without some kind of monetary framework or role for money and markets. What a dictatorship of the imagination money and its market has wrought, that even its most ardent detractors cannot think outside their prison walls. PC: The second half of the book discusses various experiences of building a moneyless future. However, don’t you think that the marginal and isolated nature of some of these experiences and their permissibility within capitalism dilutes their capacity to become models for a socialist future? Do you think Marx’s appreciative, yet cautionary, note on cooperatives in his various writings (e.g. The Inaugural Address to the First International) are valid for understanding the scope and limits of these experiences? AN: Again, as it so happens, my stance is quite close to Marx’s. I too have been a longstanding critic of a range of movements that regard cooperatives and, say, the Parecon (participatory economics) models of Michael Albert and Robert Hahnel as embryonic or, worse still, fully fledged institutions of a socialist future. Specifically either integration within the market, which is the hallmark of many productive cooperatives, or use of quasi-monies — a labour voucher system in the case of Parecon — have problems that Marx pointed to. We do not condone either in Life Without Money and include a brief critique of an alternative exchange/currency LETS (labour exchange or local energy trading system) by Adam Buick. I find the space-to-exist-within-capitalism argument somewhat self-defeating. Anyway, aren’t we referring more to a forcefully created space within which to resist capitalism? Does the fact that you and I are able to conduct this conversation freely within a capitalist society mean that nothing we say can be valid for a post-capitalist future? Of course not. We conduct this discussion in resistance and defiance of capitalism. We are isolated and marginalised because that is part of the game. It might seem weird for someone like me, who spent years on a painfully detailed and constructive critique of Marx’s concept of money, to say this but I prefer to make a stand in practice than to wax lyrical about pure theory. I prefer activity to text. I prefer creation to criticism. I tolerate — even enjoy — theory, text and criticism but only because they help me live and enable me to change the way I live. I want to do. To do is to be. The practical examples that we discuss in our book are not offered as ready-made solutions but rather constructive ways to move if we are to realise socialism in the short amount of time we now have left to do so — in decades not centuries. We are already in a process of species suicide. We are already in a process of renewal of what it is to be human. We cannot afford to think in terms of a long-term plan or reformism, if only because of the haste with which we must move. It is fitting that we take the most accurate route. There will be a revolution or, literally, nothing left of our species. We try to identify, then, embryonic and/or hybrid forms, which allow us to begin right now and know that the way we are going is contributing to establishing and maintaining socialist values, socialist production and socialist exchange. Two well-known examples discussed in our book are Twin Oaks community in Virginia (USA) and the squatting community Can Masdeu in Catalonia (Spain). Neither promote themselves as non-market socialist. In reality both communities are open to diverse philosophical beliefs. However, their practices and approaches are near enough to non-market socialism for us to use them in our analysis. They both eschew money and markets but could not exist without a negotiated existence within capitalism, the prison we all live in. They struggle to impose alternative values and practices within, alongside and usurping capitalism. They are not ghettos. They welcome visitors and attract enough to open spaces for ‘the public’ weekly, have visitors stay and hold workshops and other activities in partnership with local and global environmental and social activist campaigners. In 2012, I spent three weeks at Twin Oaks, living like a member and six weeks in Barcelona exploring, not only Can Masdeu but also other communal experiments, such as the eco-industrial post-capitalist colony of Ca La Fou. To me they seem less marginal and isolated than many Marxists and anarchists, both those within and those outside their fragmented parties, scholarly academies and other institutions of resistance, which seem to have little impact on mainstream society. All that said, many members of these communities are, of course, socialists and/or anarchists! Twin Oaks community and Can Masdeu exist in the fluid, ad hoc and self-governing networks that made the Occupy movement possible on a global scale. The people who move in and out of them have not waited for agreement on a correct line. They have not waited for a revolution. I see their potential in two integrated spheres — creating productive and democratic structures separate from, and in competition to, capitalism. PC: You have been involved in the intentional community movement in Australia. Can you give a brief account of your experience in terms of its significance and limitations? AN: During the 1990s I lived in two communities. Commonground, located in central Victoria refers to itself as an intentional community along the style of a commune. In his From Utopian Dreaming to Community Reality: Cooperative Lifestyles in Australia (1995: 140), Bill Metcalf referred to it as ‘the smallest, but also the most radical and dramatic, in this book’. Indeed, when I was there, it was self-organising on the basis of anarchist, feminist and socialist values. Twin Oaks had been an inspiration to one of the founders and certain ways that Twin Oaks operated were experimented with and instituted at Commonground. This included a ‘labour credit’ system — distinct from a labour voucher or quasi-money system — in which people elected to work on tasks that the community collectively deemed as work for a set number of hours per week. Since Commonground had fewer than twenty people living there as members at that time, it was easy to timetable all the tasks that needed doing, then members and working visitors would select and negotiate their personal work schedule for the forthcoming week at a meeting held each Monday morning. Commonground owned almost 40 hectares of rural bush land, which gave it the opportunity to practise a modicum of sufficiency alongside its core mission to serve the social change movement. I relished my time there because it brought me into contact with so many people seeking social and environmental change, and the experience of communal life was overwhelmingly positive. During my period at Commonground, and while I was completing my PhD on Karl Marx’s theory of money, the concept and practice of a common purse was being hotly contested within the community’s inner core. I witnessed the tensions that compromises with capitalism and a market mentality entailed as some core members argued for the cooperative mission to be fulfilled in a more business-like way, albeit a non-profit business. This was a struggle against principles of what I would later refer to as collective sufficiency — as distinct from individualised self-sufficiency — and environmental justice. The balance had always been in favour of social rather than environmental considerations. I found that hard to understand because, for me, environmental and social justice are — or can be — bound together. As I understand it, this fracture has been institutionalised within the community — as it is within the wider Left in Australia, of which it remains an active part. After a couple of years’ living at Commonground — where everyone lived and worked under one roof — we sold the land that I owned jointly with them adjacent to their 40 hectare property, and I bought into Round the Bend Conservation Co-operative, located in a peri-urban or semi-rural enclave on the edge of Victoria’s capital city, Melbourne. This cooperative was explicitly not an intentional community but rather was developed to preserve 132 hectares of box-ironbark woodlands while providing a site for housing for each of its shareholder-members. The members own the land as a cooperative, which determines the rules under which people build and live there, jointly managing the land for conservation purposes. Given that you could not borrow money to build on the cooperative, potential membership seemed to be limited to the well-off, though to purchase a share with its house site attached cost less than 20 per cent of comparable land purchases in the area and many had built mud-brick homes using their own labour, making it accessible to DIY activists. Though some of the members had been communists and/or radical activists, this cooperative was more mainstream than Commonground. However, I was attracted by its environmental bent and its singular achievement of spreading many of its environmental practices to a wider landscape of more than 100 private properties in the form of regulations, which became an Environmental Living Zone under the state’s planning code in 1986. Despite its limitations I concluded that it had the potential to act as a transitional form between private property and holding the Earth as a commons. Although not the hothouse that Commonground was, the co-management of land demanded sophisticated skills in communications and decision-making, which was based as much as possible on consensus. However, after a serious car accident, I left mainly because it was not convenient to public transport and I needed to be closer to places I worked and socialised in. PC: Do you find the question of building a ‘life without money’ emerging from class struggle itself? In contrast to the voluntarist stress on the escape from the logic of capital, is it not true that the central concern in Marxist theory of praxis has been to build upon the solidarity and coordination embedded in the daily ‘guerrilla struggle’ against capital and the increasing political and economic self-capacity of the working class? AN: In short, yes to both questions. The best reference points here are those writing in the autonomous Marxist tradition. The third chapter in Life Without Money is by autonomous Marxist Harry Cleaver and focuses on working for money. Cleaver emphasises that Marx had a labour theory not because he saw capitalism as the means to dominate people as workers and consumers. Capitalism redefines life as work: market-oriented production and consumption. Marx’s theory of alienation was a critique of capitalist work; socialism and communism meant freeing work from that perversion. Post-capitalism meant increasing our free time to enable a growth of individuality and humanity replacing labour as the source of value in society. Revolution meant workers’ gaining control of the means of production and making work meaningful through self-organised cooperation and collective self-realisation. Moreover, the accumulation characteristic of twentieth century socialism meant that the sense of human diversity ‘implicit in Marx’s notion of the transcendence of labour value by an indeterminate free time has been both ignored and contradicted’ until, over the last few decades, some movements have revealed ‘the possibilities of real multilateralism in post-capitalist society’ (Cleaver in Nelson & Timmerman 2011: 52). Cleaver celebrates our alternative socialist tradition of collective grassroots cooperation; as capitalism intervenes in and shapes people’s lives, they resist. If they resist on the basis of work refusal then ‘the struggles of those of us who are waged and the struggles of those of us who are unwaged are inherently related’ (Cleaver in Nelson & Timmerman 2011: 60). Cleaver’s book Reading Capital Politically (1979) skilfully deconstructs class and re-elaborates class with capitalist money at the centre, thus embracing non-worker consumers and other structurally marginal people. A non-market socialist position distances itself from any intense or central emphasis on worker cooperatives and schemes that compromise with the market or mimic capitalism. We prefer hybrid models, such as the temporary autonomous zone discussed by Bey (1985) and elaborated in Terry Leahy’s chapter in our book. Instituting a hybrid is a defiant and forthright challenge. It might focus on: expanding community gardens where there is decision-making on what is grown, how and where, as well as sharing work and produce; or squatting spaces and using ‘trash’ for art activism; or spreading crop and swap meets, holding them more and more frequently based on growing kinds of goods and services. These hybrids are not pure embryonic forms of a new society but rather act as half-way points stepping away from capitalism towards an holistic socialism. Monitoring and revising the operation of hybrids not only develops a clearer critique of capitalism but, more significantly, also enables us to be actively experimenting with being socialist. Such hybrids act as cells conscientiously working to overcome systemic barriers to greater networking between hybrids, with the potential to produce an holistic alternative future of expanding and interrelating hybrids. Developing more confidence in these alternative cells and networks we can withdraw more of our labour from the capitalist economy and polity — work refusal — and instead actively produce a new society. PC: One of the most remarkable features of this collection is its readiness to traverse through various revolutionary traditions against capitalism. One tradition that finds space throughout the collection is that of anarchism and its various shades. How do you see the divergences and convergences between these two revolutionary traditions — of Marxism and anarchism? Further, you yourself admit that this collection can be seen as a sequel to Rubel and Crump’s volume on non-market socialism. Do you agree with Rubel’s characterisation of Marx as the theoretician of anarchism? AN: My interpretation of Marx fits very comfortably with Maximilien Rubel’s. Though not in the first instance being conscious of the traditions that my interpretations of everyday life fell into, I too read Marx as if I were an anarcho-communist, non-market socialist or autonomous Marxist. In my twenties, I referred to myself as an anarcho-communist. While I was immediately attracted to anarchism’s open creativity and anti-state position, it always seemed too broad a church to me to support without qualification. Its representatives embraced the whole spectrum, the best and worst of political philosophies. Anyway, I had socialist values, so they came first and anarchism became the qualifier. This, of course, seemed to make me objectionable to most of my friends who neatly and commitedly kept to one camp or the other. That I was first and foremost a women’s liberationist only muddied the waters further. It is only when I chanced on the collection on non-market socialism by Rubel and Crump (1987) that I found my political home. While they define non-market socialism as a market-free, money-free, class-free and state-free society, we add that non-market socialism needs to be want-free, sustainable and just as well. Yes, our book very much updates and expands on the Rubel and Crump collection. It is current and broad in its scope, whereas Rubel and Crump took a more historical approach, which makes their collection more fragmented and partial. The anarchist Terry Leahy wrote the chapter in Life Without Money on the gift economy, though his discussion is broad-ranging, his analysis drawing on permaculture, patriarchy and feminism. The somewhat bad name of anarchists amongst socialists has to do with the diffuse nature of anarchist writings, their seemingly undisciplinary and joyfully undoctrinaire philosophies and anarchism’s attraction to charismatic, egotistic loose cannons. The conflict between Bakunin and Marx was to prove typical. However, in my lifetime, several connected pressures have forced a critical rapprochement. For those of us committed to environmental activism, amongst our politically sophisticated and experienced brethren, socialists proved very slow on the uptake and anarchists were more open supporters. Working from the grassroots demands a different style of politicking and creativity that anarchism can inform. Most importantly, the statism of the Marxist Left shackled its development while anarchism had done away with the state as a first principle. PC: You have devoted considerable space in one of the initial chapters to developing a concise critique of the so-called actually existing socialisms and the debates around market and money during their revolutionary phases. You have endorsed Che Guevara’s attitude in Cuba against statisation, market and money. Can you summarise his vision of the socialist future as you understand it? How do you relate this with the questions of state and political power with which Che was always concerned as an armed revolutionary? AN: In the early years of Soviet power the party elite seriously discussed instituting a moneyless economy. A debate occurred in Cuba also, in the mid-sixties, around whether and how to diminish the role of money. In neither Russia nor Cuba did the founding revolutionaries come to power with a clear theory or plan for how socialist exchanges might differ from market-based evaluation. Many of the Russian leaders, such as Trotsky and Stalin, expected money would simply disappear almost of its own accord as communism developed (Bettelheim 1968: 60; Rosdolsky 1977: 130). In Russia they decided to abolish money but not monetary accounting. The debate on replacing a monetary unit of account with one based on labour, measured in time or energy, produced an enormous volume of literature in 1920–1921. It was influenced by the work of Austrian economist Otto Neurath, whose thoughts John O’Neill discusses in depth in his chapter of Life Without Money. Anyway, any advance to a moneyless communism was halted when all state industries were directed to follow principles of precise economic accounting, including demanding money for taxes as well as state-produced goods and services. While Lenin acknowledged that his New Economic Policy would ‘inevitably lead to… a revival of capitalist wage-slavery’, he defended it as a tactical retreat ‘to make better preparations for a new offensive against capitalism’ (Lenin 1976: 184­–5). I regard it a salutary lesson that this retreat solidified into a barrier to the advance of socialism. I became particularly fascinated with the split that occurred between Fidel Castro and Che Guevara, especially around economic matters and the question of ‘money’, in which I sided with Che, though I do not think he went far enough. Is that because he did not believe we had to do away with money completely, as non-market socialists believe, or because he was pushing his point about as far as he could at the time? At least Che appreciated that this was, at base, a political rather than an economic matter, pointing to the development of a substantively political democracy as the organising principle of society. Alas, at least publicly, he believed in a limited usefulness for a unit of account — which is the fundamental function of capitalist money — but his arguments here were practical, associated with international trade, rather than ideal. As it was, he failed in his limited attempt to reorient the revolutionary strategy. It is significant that he broke with the Cuban revolution at this time because it leaves hanging the question of his essential vision of socialism. I do not think that what is left in historical records can clear up some of these key points. Che embraced Marx’s position that monetary values reflected abstract labour, not wants or available resources. Che said that prices set by state agencies were not market prices, that planning should not mimic market forces and the law of value, but instead consciously account for non-economic factors. Belgian economist and Marxist Ernest Mandel supported Che’s position that socialism negated monetary values and trading relations. However, Che lost the debate with Castro, who agreed with abolishing money ultimately but not immediately. Che’s vision of socialism was rooted in voluntary, passionate work and a new consciousness, free of the discipline of the market. PC: Recent developments in Latin America have rejuvenated debates on revolutionary strategies everywhere, even among the Left in Australasia. The fabricas recuperadas movement and the Unemployed Workers’ Movement in Argentina, the barrios movement to establish popular control over urban resources in Venezuela, the rise in Indigenous assertion and power in Mexico and Bolivia and the landless workers’ movement in Brazil — all have redefined much of the older debates on social control, political organisations, state etc. Many Marxists in the autonomist tradition have affirmed and critically articulated the significance of these developments. Do you find any enrichment of the discourse on market and money, as central to socialist imagination, in these experiences? AN: Yes, experimentation in DIY revolutions, being active in spaces of resistance, is basic to the thrust of non-market socialism. We all live under intensifying capitalism, and resistance can come in unexpected forms. While we are suspicious of state socialism, we must use whatever support we are offered to show that grassroots activity is the backbone of socialism. Joan Martinez-Alier reminded a class — who I spoke with about our book at the Summer School and Workshop on Political Ecology, Environmental Justice and Conflicts in Barcelona in July 2012 — that in the Spanish Civil War (1936–39) people experimented with non-monetary exchange as well as collective production. As Allende’s Chile (1970–1973) fell to opposition forces, it was the same. As we take control of the forces of production and produce for a socialist future, then we must use our own values and distribution networks based on the logic of need and use values, not monetary values and the market. Three contributors to Life Without Money participated in panels at the 2012 Left Forum in New York City: ecofeminist Ariel Salleh, Frans Timmerman and I. Key speakers at the Left Forum included Autonomous Marxist John Holloway, who lives in Mexico, and Marina Sitrin whose work on horizontalism (horizontalidad) in Latin America and the global Occupy movement is particularly relevant. An indication of the significance of the rejuvenation of non-monetary relations in everyday acts by Europeans in defiance of the global financial crisis is the Homage to Catalonia study led by Manuel Castells (Conill et al. 2010), some findings of which appear in his Aftermath: The Culture of the Economic Crisis (Castells et al. 2012). The Occupy movement has been impressive if only because it has been so widespread, demonstrating a broad disenchantment with representative democracy and market economies right across the world. The general-assembly models, endorsement of horizontalism, direct engagement between crowds and speakers, the naming of the ‘1%’ against the ‘99%’ and the word ‘occupy’ identifying their chief demand has put capital in disarray and on alert. More than that, this movement is supported by many of those who are experimenting with production for direct use, alternative and gift exchange, and liberation from trade, consumption and exchange values. PC: What is a compact society? You talk about collective sufficiency and networks, which connect the local with the global — thus establishing a global compact society. Can you explain the basics of this post-capitalist future, and how it will transform our needs and activities, and counter the negative impact on the environment? AN: In Life Without Money, we elaborate a local–global compact society, not to lay down a hard and fast plan for a non-market socialist future but to stimulate people’s imaginations and counter those who regard it as impossible. Most significantly, for our activist practice, we need to have a clear idea of where we are going and how our different activities might ultimately constitute a socialist future. We want as many people as possible elaborating ideas of a post-capitalist future so we can argue, experiment and establish this society. To distinguish ours, we needed to name it somehow. I liked the way that the word ‘compact’ worked in two directions, socio-political and the other environmental and material. The noun ‘compact’ refers to a social agreement and, used as an adjective, ‘compact’ is associated with efficiency and economy, referring to a condensed, small and efficient use of space. The concept of a compact world is one of multiple horizontal cells, which aim for relative collective sufficiency within neighbourhoods and bioregions, connected by networks of various sizes appropriate to their functions, with voluntarily created and agreed to compacts structuring the production and flow of goods and services. ‘Collective sufficiency’ is a term we coined to refer to material, basic-needs sufficiency evolving on the basis of a commons and people working together to ensure their communal sufficiency (in contrast to individuals or singular households developing ‘self-sufficiency’). My concept of these cells owes much to the principles and design features of permaculture. ‘Permaculture’ — a movement starting in Australia but quickly taking root in various places globally — stands for permanent and sustainable culture, integrating human practices with natural processes to yield security in food and other basic needs (Holmgren 2003, 2012). I was a member of the Communist Party of Australia (CPA, 1920–1991) from the early 1980s to its dissolution ten years later. I was particularly attracted by the success of green bans led by CPA officials, especially Jack Mundey, and the builders unions’ who refused to work on developments that they deemed environmentally or socially unsound (Burgmann & Burgmann 2011). I had always been — and remain —particularly frustrated with the conservative role of unions in Australia and green union strikes and activism singularly broke that mould. These actions initiated the green bans movement worldwide. My mother was practising permaculture as a gardener in the 1980s. I became more attracted to it as an efficient and sustainable approach through my political activities, drawing on anti-state and anti-capital political discourses, and growing evidence of the accuracy of the analyses of 1970s social and environmental activists who initiated more environmentally sound approaches to life. As a set of design principles and sustainability practice, and care-and-share values, permaculture readily indicates how productive cells might function. The permaculture movement is weaker in pre-visioning the how, i.e. the relationship base, of a global commons, non-monetary production and exchange. In other words many permaculturists imagine that it is simply a matter of the economic and political structures’ absorbing their values in a higher stage of capitalism. Even if they speak in terms of post-capitalism, there are still money and markets, non-profitable firms and representative government. In contrast, non-market socialism and the concept of a compact world introduce governance and economy as challenges still to be addressed. We often get asked if a compact society is, in effect, a return to living in the cave. People are particularly mystified that any form of advanced technology could be possible without capitalism, the magic womb. Or, of course, they offer the one other path to the same ends: state socialism, whereby the state, robot-like, dictates the establishment and maintenance of large-scale machinery in its own image. In contrast, my approach to technology is one of minimalism. I support small and appropriate technology that is established and maintained on the basis that it does not cost the Earth too much and is efficient, meaning effective, socially. Examples include some forms of renewable energy and biomimicry. Use of computers and Internet needs to be transformed to end or involve only a miniscule amount of harmful substances, such as rare earth minerals and waste, and the ways they are made need to take account of the conditions and working styles of the people making them. Diversity and resilience are both enhanced by relatively autonomous collectively sufficient neighbourhoods and bioregions. My political activities have been very personal, grounded in everyday life, mainly in environmental grassroots movements, which are open and exploratory, and my philosophy has evolved experientially. These experiences have given me confidence that: a grassroots revolution is possible; we can ‘take over’ the state by replacing its functions in an almost unrecognisable way because, as such, it functions mainly to support capital and a non-market socialist politics is embedded in people’s direct and immediate control, of the means of production and distribution; socialism must be modest and efficient and effective at a personal and neighbourhood level. By seeing our basic human needs and the needs of the environment in direct, scientific and practical forms and then advancing to discussing options for just and sustainable futures in terms of such use values would be a real advance. Marx’s clear analysis, based as it was on use values — in contradiction to the political economists’ submersion in economistic terms and approaches — offers a clear way forward for the Left to reassert historical-materialist methods. Althusser, Louis (1971) Lenin and Philosophy and Other Essays. London: New Left Books. Bettelheim, Charles (1968) Planification et rapports de production. In his La Transition Vers l’Economie Socialiste. Paris: Maspero. Bey, Hakim (1985) T.A.Z. : The Temporary Autonomous Zone, Ontological Anarchy, Poetic Terrorism. Brooklyn: Autonomedia. Buick, Adam (1987) The alternative to capitalism. In Buick, Adam and John Crump (eds) State Capitalism: The Wages System Under New Management. Houndmills (Hampshire): Macmillan. Accessed 22 December 2012 at http://theoryandpractice.org.uk/library/alternative-capitalism-adam-buick-and-john-crump-1987. Burgmann, Meridith & Verity Burgmann (2011) Green Bans movement. Dictionary of Sydney. Accessed 22 December 2012 at http://www.dictionaryofsydney.org/entry/green_bans_movement. Castells, Manuel, João Caraça, & Gustavo Cardoso (eds) (2012) Aftermath: The Culture of the Economic Crisis. Oxford: Oxford University Press. Cleaver, Harry (1979) Reading Capital Politically. Brighton (Sussex): Harvester Press (The 2012 Indian Edition published by Phoneme Books, New Delhi). Conill, J, M Castells & A Ruiz (dirs.) (2010) Homenatge á Catalunya II. Accessed 19 November 2012 at IN3 (Open University of Catalonia) — http://www.homenatgeacatalunyaii.org/en. Holmgren, David (2002) Permaculture: Principles and Pathways Beyond Sustainability. Hepburn: Holmgren Design Services. Holmgren, David (2012) Holmgren Design Services [website]. Accessed 22 December 2012 at http://www.holmgren.com.au/. Lenin, Vladimir (1976). Collected Works 33: August 1921–March 1923. Moscow: Progress Publishers. Marx, Karl [1867 (1976)] Capital: A Critique of Political Economy Vol. I. Harmondsworth: Penguin. Marx, Karl [1859 (1970)] A Contribution to the Critique of Political Economy. Moscow: Progress Publishers. Marx, Karl [1857–8 (1973)] Grundrisse: Foundations of the Critique of Politcal Economy (Rough Draft). Harmondsworth: Penguin. Metcalf, Bill (1995) From Utopian Dreaming to Community Reality: Cooperative Lifestyles in Australia. Sydney: University of New South Wales Press. Nelson, Anitra (1999) Marx’s Concept of Money: The God of Commodities. London: Routledge. Rosdolsky, Roman (1977) The Making of Marx’s ‘Capital’. London: Pluto Press. Rubel, Maximillien & John Crump (1987) Non-Market Socialism in the Nineteenth and Twentieth Centuries. London: Macmillan Press. This book is part of Michael Lebowitz’s larger project of demonstrating the ever-existing necessity of a socialist transformation as the revolutionary resolution of class struggle in capitalism. It builds a theoretical foundation for such revolutionary praxis in the specific objectivity of the 21st century. Lebowitz’s previous book, Build it Now, captured and described the specificities of socialist praxis and possibilities in the Bolivarian experience of Venezuela. The Socialist Alternative can be seen as building a coherent model of an alternative by gathering and arranging the elements that are found scattered in that experience. Like the previous one, this book too is a result of Lebowitz’s rigorous and critical engagement with the ‘socialist’ experiences/experiments of the 20th century. The author clearly critiques the stagist and statist conception of socialism that was based on an ‘uncritical’ takeover of the State and the subservience of the self-activities of the labouring classes to the purpose of strengthening the State. It was this statism that defined the socialist praxes of the 20th century. Lebowitz also critiques the dwarfish (yet important) experiments of cooperatives and the Yugoslavian practice of workers’ self-management – where, apparently, we find an inversion of the top-bottom approach, and also a kind of workers’ control. Yet this managerial structure failed to develop a “solidarian society” that countered the segmentation and competition among workers, as the logics of commodity production and profiteering continued at the base of those experiments. 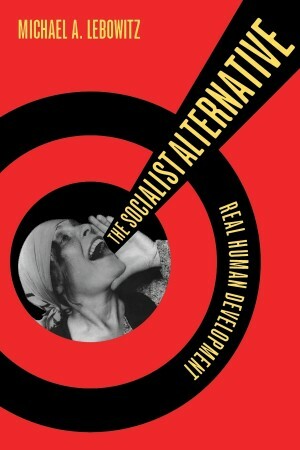 The socialist alternative that Lebowitz posits is a process – it is “the path to Human Development” constituted through self-organisational and self-emancipatory practices of the working class. The democratic, participatory and protagonistic activities would reconstitute our everyday lives in this process. “Through revolutionary practice in our communities, our workplaces, and in all our social institutions, we produce ourselves as other than the impoverished and crippled human beings that capitalism produces.” (22) After all, “revolutionary practice” is nothing but “the coincidence of the changing of circumstances and of the human activity or self-change”, as Marx defined it in one of his theses on Feuerbach. Thus, even though ownership over the means of production still remains critical for building socialism, social solidarity and active participation of every human being based upon “the elementary triangle” of social property, social production and satisfaction of social needs are central to Lebowitz’s socialist imagination. It is this centrality of solidarian revolutionary practice that emancipates socialism from its relegation to statism and productivistic technocracy. This is the vision of the “good society”, which put simply is an association where “the free development of each is the condition for the free development of all”. In Part I, The Socialist Triangle, Lebowitz begins with an analysis of the “wealth of people”, through which he arrives at the first side in the socialist triangle – the concept of social property. He locates the critical centrality of accumulated past labour (the accumulation of tools/instruments of labour and knowledge/skill) and the combination of labour in determining the level of productivity. The “free service of past labour” and the “free gift” of cooperation determine the social productive power. Further, it is the combination of labour that generates the social character of human labour, and thus constitutes even accumulated past labour as “social inheritance” or “social heritage”. Lebowitz differentiates the Marxist conception of human capacities from that of Human Development Reports, which are based on Amartya Sen’s capabilities approach. The understanding of human development in HDRs is circumscribed within a liberal framework that seeks to integrate people on the margins into the so-called mainstream – to make the capitalist system more inclusive. It seeks to remove barriers in the broadening of opportunities (capabilities in this framework are equivalent to opportunities). It certainly questions neoliberal market fetishism, but it empowers the state to complement the market. Of course, capitalism destroyed the barriers to human development that pre-capitalist societies posed and created the conditions for the development of the rich individuality. But capitalism in order to reproduce itself generates mystifications that cognitively impoverishes workers – “they distort the worker into a fragment of a man”, who is overwhelmed by the creative power of his own labour projected as an alien power, as the power of capital. Lebowitz here shows how to read Capital to obtain Marx’s conception of socialism – “Read Capital with the purpose of identifying the inversions and distortions that produce truncated human beings in capitalism and we can get a sense of Marx’s idea of what is ‘peculiar to and characteristic of’ production in that ‘inverse situation,’ socialism.” Most importantly, we must not be trapped by capital’s definition of production, since it is here that alienation, distortions, mystifications and fetishism are generated. It is important to reestablish human beings as both the subject and object of production, where “specific use-values … are mere moment in a process of producing human beings, the real result of social production.”(59) It is social production in this sense that is identified as the second element of the socialist triangle. In this production process, the “systematic and hierarchic divisions of labour” that create caste-like segmentations do not have any place. And, “every aspect of production must be a site for the collective decision making and variety of activity that develops human capacities and builds solidarity among the particular associated producers.”(60) It is in this light, Lebowitz critiques the experiments in “real socialism” and foregrounds the Solidarian Society – a new social form based on “protagonism and conscious cooperation by producers”. The second part of the book deals with “the becoming of socialism as an organic system.”(85) Lebowitz considers it important to differentiate between the Being and Becoming of an Organic System – historically viewed a social system grows out of the old system, whose traces persist as defects in the new system, while any system as an organic whole “produces its own premises and thus rests upon its own foundations.”(88) Hence, the three sides in the socialist triangle in their mutual interdependence found socialism as an organic, completed system. However, this organicity of a system is a product of the historical process of “[subordination of] all elements of society to itself and [creation of] the organs it still lack in order to rest upon its own foundations”. (92) Lebowitz brings out a lucid Marxist understanding of this historico-logical process with regard to the emergence of the capitalist system by a rereading of Capital from this angle. He concludes that a capitalist mode of regulation is needed for capitalism to stand on its own foundations. There is no universal mode of such regulation; its constitution is relative to geo-historical specificities. Similarly, in the process of the becoming of socialism a socialist mode of regulation is needed, which will reproduce socialist relations and subordinate all the elements (inherited from the past) to the needs of this reproduction. In his elucidation of The Concept of a Socialist Transition, Lebowitz begins with a critique of the stagist conception of socialism/communism which distorts Marx’s understanding of socialism/communism as a single organic system in the process of becoming. Under this scheme, a defect inherited from the past that was to be subordinated in the process of becoming was transformed into the foundational principle of the stage of socialism. Human beings were continued to be seen as private owners of labour power, and a right of inequality based upon unequal work capacity was sanctified. Still entitlements were not based upon an individual’s “capacity as a member of society”. Thus, individual material self-interest remained the lever, instead of being considered as a defect that must be fought against and subordinated. There is a continuous need to subordinate capitalist relations and create new socialist elements. For this, social force is required in the form of state power. Some concrete proposals, like taxing the surplus value, ensuring transparency, transforming the workday to incorporate time for education for worker management, reorganisation of production at the base involving workers and community assemblies etc are discussed in the book. These are required for facilitating socialist transition in the societies where “the battle of democracy has been fought but not yet won” and where despite workers governments “the balance of forces favors capital”. These seemingly reformist socialist conditionalities put capital on defensive, they constitute despotic inroads on capitalist rights. However, they must encourage class protagonism of the workers or revolutionary practice, or else they would be reduced to statism and eventually help in the re-consolidation of capitalist class power. Workers and neighbourhood councils that foster cooperation and solidarity can act as “the elemental cells of the new socialist state”, as forms of popular protagonism. But for them to stand as viable foundations for a socialist alternative, linkages between them – interconnections among workplaces, within and between communities must be drawn. And ultimately producers must connect directly with their counterparts, the final consumers – i.e., needs and their knowledge must be liberated from “the tyranny of exchange value.” This liberation will eventually lead to continuous expansion of the commons. The last chapter, Developing a Socialist Mode of Regulation, deals with the conception of the mode of regulation that would facilitate the inroads the new socialist society would make into capitalist sociality by ensuring the reproduction of socialist relations by strictly subordinating the vestiges of the older system. For Lebowitz, this mode is, first, an ideological fight that exposes capitalist perversions, while stressing the cooperative and solidarian practices. Secondly, it involves the creation of institutions that facilitate these practices, like workers’ and community councils. And, thirdly, it means an emergence of a kind of dual state power – the old state despotically dealing with capital and facilitating its own demise, and the new state emerging from below on the basis of the new institutions of popular power and practice. These two states complement one another, yet remain contradictory; so there is a continuous danger of the old consolidating itself, unless the new state expands and develops its elements by normalising and institutionalising socialist accountancy and rationality that focus on human development and needs. Lebowitz finally asserts that a socialist mode of regulation requires a political leadership and even “a party of a different type” in order “to mediate among the parts of the collective worker, provide the welcoming space for where popular movements can learn from each other and develop the unity necessary to defeat capital.” This party must facilitate (not supersede) the popular initiatives from below. It must be the propagator of revolutionary practice as “the coincidence of the changing of circumstances and of the human activity or self-change” – as the self-emancipation of the working class.